Books by John Elton Pletcher—AVAILABLE thru Amazon or Your Favorite Bookseller! 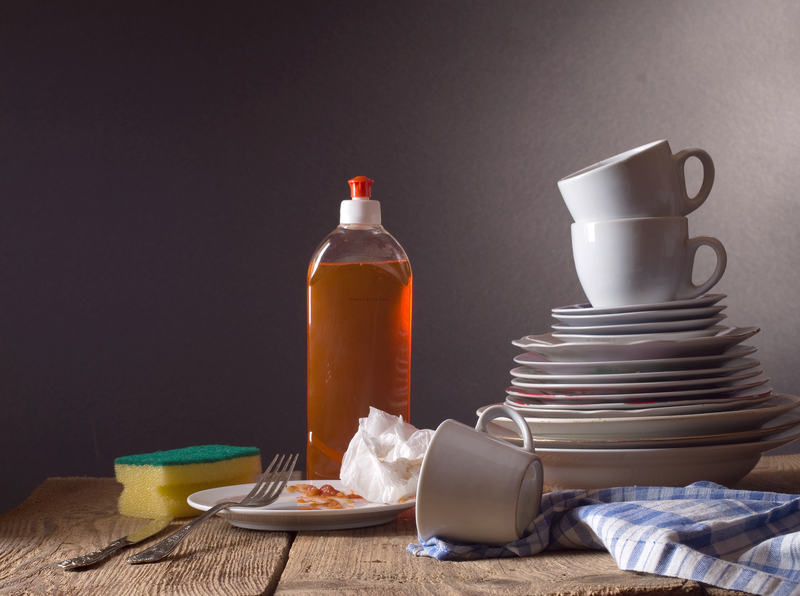 Dishes and Crosses—Is your work ever done? My wife, Nancy, is oh-so-creative in the kitchen. The delectable dishes she concocts are scrumptious, but the resulting piles of dishes sometimes seem insurmountable. Occasionally, one of our three boys pitches in, but they frequently have right-after-dinner plans. (Hmmm. I wonder why?) Consequently, Nanc’ and I wash a lot of dishes. There are times when my attitude is A+ positive. I put on music and flirt with the chef. But I must confess, there are many days when my do-the-dishes mood is not so stellar. I hang my head and think to myself, “Why does it feel like this job is never finished?” You ask the same exhausted question regarding your own most dreaded chore, whether it’s dishes, laundry, floors, yard work, or _______________. How might Christ’s decisive cry, “It is finished!” impact our daily work? We can affirm the value of long-term planning and implementation. Much of the Father’s work—and then his Son’s work—involved establishing and working out the ancient prophecies. Christ’s life work demonstrated marvelous fulfillment of those plans, culminating in extra-dynamic ways with the cross, resurrection, and ascension. Consider this: when we make strategic plans and work hard to implement them, we are more fully living out the image of God, matching his very character and transformative intentions for us. As we work with him, relying on his plans, we actually find deep rest in his finished work on our behalf. We can infuse our daily work with his redemptive aims. Christ’s loud personal cry, tetelestai, declared the complete arrival of redemption. This should motivate us to make sure our own work keeps redemptive purposes in view. How does what I do today serve with humble sincerity, bless the mess, clear the confusion, and bring truly Good News to people who experience too much bad news everyday? With both our daily actions and our daily words, we can share Christ’s hope-filled redemption. My attitude starts to improve as I deliberately pray over those greasy plates and spoons, thanking God for the mouths and hands that have touched them. Dish towel in hand, I can boldly ask the Lord to nourish, cleanse, use, and encourage those dear ones in his service. We can work hard, relying on God’s grace. The Apostle Paul, after rehearsing the creed—Christ’s death, burial, and resurrection—insisted that he had worked harder than all the other apostles, “—yet not I, but the grace of God that was with me.” (1 Corinthians 15:10) In like fashion, it is the grace of God that confidently propels our own work today. We can fully trust him and praise him for such grace! We can intentionally plan to finish strong. What does it take to finish strong in your life work? How do you keep from burning out with exhaustion? In their discussion of a strategy for entrepreneurs planning to finish well, Richard Goosen and R. Paul Stevens lend five insights: (1) Keep articulating your life goals, not just when you are young, but throughout life; (2) Constantly refresh your sense of calling; (3) Engage in an accountability group; (4) Practice thanksgiving day and night; and (5) plan on lifelong learning, blending study, work, and play all along the way. ‘Ever wonder what Christ felt on certain days in the carpentry shop, especially when working on tough projects? Did his work feel exhausting? Probably. After all, he was also human. How often did the skin on his hands get dry-cracked and calloused? What expression crossed his face when a splinter snagged him? And I wonder what words crossed his lips when he wrapped up an especially challenging project? I have a hunch I know, and you probably do as well. After all, there was the day his hands held rough-hewn beams, and they felt the ugly work of nails. And on that day, Christ cried out, “It is finished!” That cry was for you, for me, and for countless others who find much-needed rest in his gracious work on the cross. Take heart. Such finished work and triumphant word supply all the grace we need to press on, work hard, and finish strong. Richard J. Goossen and R. Paul Stevens. Entrepreneurial Leadership: Finding Your Calling, Making a Difference. (Downers Grove: IVP Books, 2013) 176-179. Paperwork OR Peoplework? You’re probably PARALYZING your productivity! Encouraging post, with new ways to look at my life’s purpose, even in the mundane. Thank you for sharing the gift of your teaching! SO appreciate your reading and sharing reflections. Blessings for a tremendous Holy Week. Rest in His finished work and glorious resurrection!